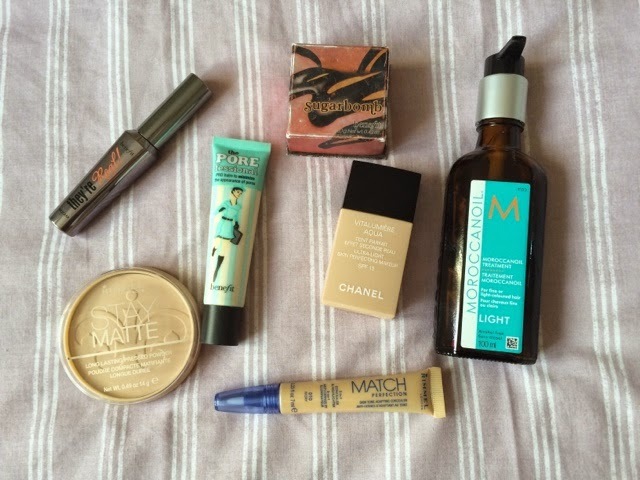 The following products are what I regularly use when doing my makeup. During the week if we're staying in I won't bother putting any on but if I know we're going out I usually just apply the basics for an everyday look. This is so smooth and just evens out all imperfections before you apply foundation. This is great to just cover any imperfections. I use this just before I apply my foundation. I absolutely love this foundation. It’s easy to apply, so light on your skin and looks really natural. You can get this powder from most supermarkets and it’s really affordable – it helps to keep your foundation in place so it lasts all day. This is a great every day blush and I think it looks really nice, especially on pale skin. This is one of the best mascara’s I've used and I think I'm on about my third one now. It makes my lashes longer and it doesn't flake whatsoever which cheaper mascaras tend to do. I discovered this product about 4 years ago now and it’s amazing! My hair is quite long and can get really knotted so I just pump a small amount into my hand and run it through my hair once I’ve washed it and dried it off a bit. It makes my hair so smooth and more manageable; I definitely recommend you try it if you haven’t already. You can purchase it from many hair salons and online at Feel Unique.